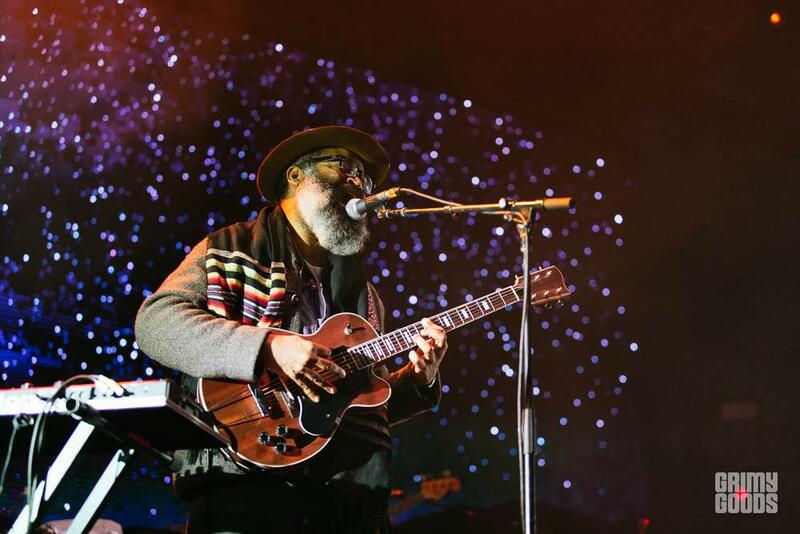 TV On The Radio is available for exclusive private events, as well as public concerts. To inquire about pricing and availability of TV On The Radio, or to book TV On The Radio for your event, Contact Jay Siegan Presents here. From their beginnings as Brooklyn-based experimenters to one of the most acclaimed bands of the 2000s and 2010s, TV on the Radio mixed post-punk, electronic, and other atmospheric elements in vibrantly creative ways, and are both visual artists as well as musicians. The group began when multi-instrumentalist/producer David Andrew Sitek moved into the building where vocalist Tunde Adebimpe had a loft; each of them had been recording music on his own, but realized their sounds worked well together. Sitek's brother Jason began playing drums and other instruments with the pair during their recording sessions, which resulted in OK Calculator, a self-released disc of four-track recordings.